While it rains this monsoon, caring for your skin can be easy! If you have breathed a sigh of relief from the harsh heat wave and the dry summer air, it’s time to rejoice as the rains lash the nook and corners of the city. However, with monsoons around, our skin too takes a change and a beating in equal measure. This is exactly why we should be very particular with our monsoon routine, so as to enhance the glow of the skin and not allow it to fade under the wetness around. Take a look at these easy DIY recipes for utmost skin care routines, which can be done at home. Don’t ignore the skin, just don’t ignore it! What you need here is a large ripe banana, or an over ripe one. 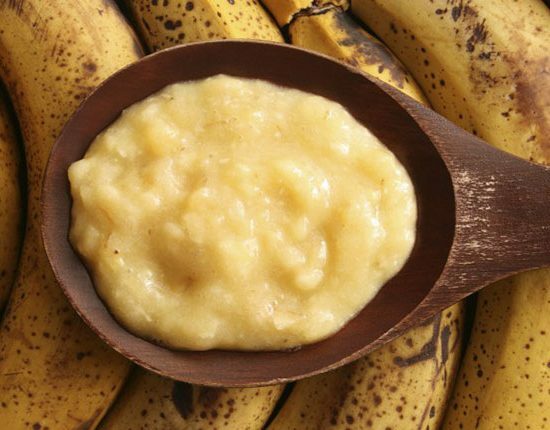 Cut the banana into pieces and place in a bowl, to which one must add half a cup of milk powder. Mix the two into a mashed paste using a spatula or with your fingers. Apply the paste all over your face, your neck and your forehead, and wait for half an hour. Once you feel the pack on your face is eighty percent dry, head on to wash the pack off your face under cold running water. While doing that, gently use circular motions around the facial skin to remove dead skin cells, dirt and grime! This is a recipe for all skin types and best done twice a week. For this recipe, you would need a cup of fresh green peas. Soak the peas for an hour in cold water, until they swell. Remove the shells of the peas and then in a blender, paste the peas into a green mash. To this, we would now add a tablespoon of curd and mix it well. Apply the pack on the face, the neck and the forehead evenly and let it sit for ten minutes. Once dry, gently exfoliate the pack off the face in circular motions under cold water. Pat dry and moisturize the skin. This is a regime to be done thrice a week, for all skin types. 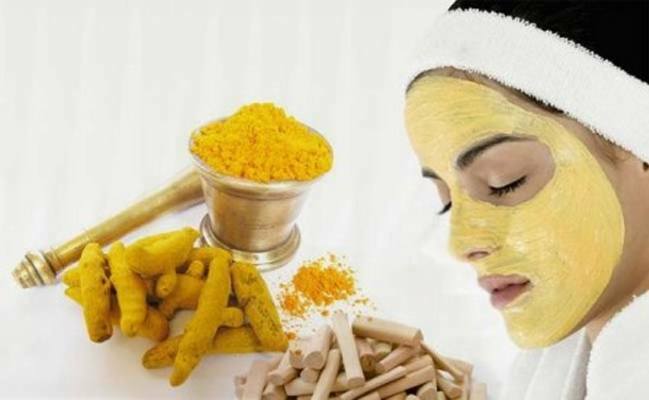 The antimicrobial and anti-ageing properties of turmeric and besan cannot be denied, which is why a monsoon face pack made from the two is a must use. For this facial pack, we would mix a tablespoon of besan to which a pinch of turmeric is added, and a dash of honey too, to form a paste. Apply the paste on the face and the neck, and let it sit for half an hour. Once the pack is dried, wash the face under cold running water and then pat dry. Do this thrice a week to clean the skin, the pores and to bring back the glow on the face. Monsoons can also be the reason why your skin can look over hydrated or under cared for. What you would need is enough of hydration for the skin, which is why honey is the best to use. A tablespoon of honey, mixed with a dash of lime juice (not more than a teaspoon) can be the best facial pack to restore the brightness and glow to the face. Apply the mix on the face as though you are applying a cream. Allow the mix to be on the face for half an hour, and then wash off under cold water. Pat dry and moisturize. Do this everyday when you come back home and watch how you wouldn’t need a commercial face wash to cleanse, tone and hydrate the skin. 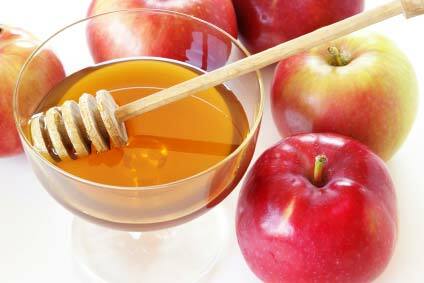 It is a true that an apple a day can keep the doctor away, thanks to the abundance of health benefits it contains. And for the facial skin, the paste of one apple (blender mashed) can do wonders. 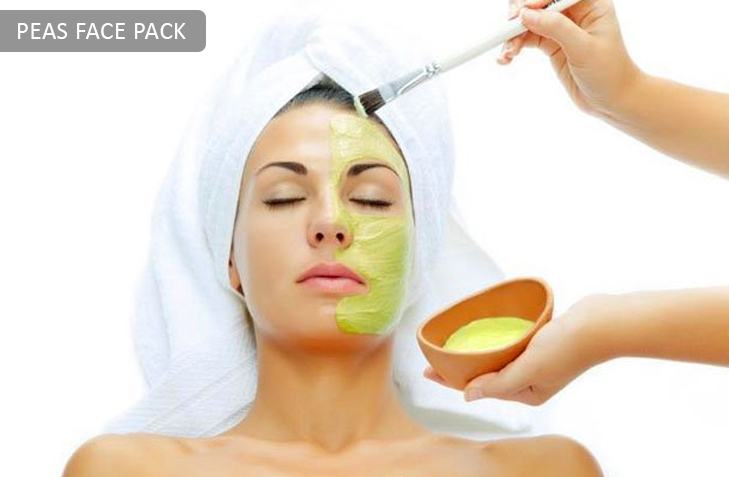 Mix a tablespoon of honey and a pinch of turmeric in the paste and apply it on the face. Wait for half an hour and then wash off under cold water. This is a recipe that would help tone, exfoliate and nourish the skin. Do this twice a week and watch how your skin stays hydrated and supple. Pamper your skin and it will bless you back!